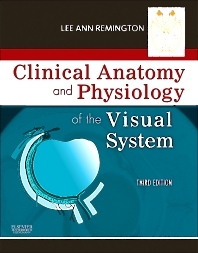 Taking the place of the multiple texts traditionally needed to cover visual anatomy and physiology, Clinical Anatomy and Physiology of the Visual System, 3rd Edition dramatically lightens your load by providing one book that covers it all! This concise, well-referenced resource contains information on the clinical anatomy of the eye, its adnexa and visual pathways, histologic information, plus newly added content on physiology of the human ocular structures. Vivid illustrations complement the text and provide clinical information on diseases and disorders that represent departures from normal clinical anatomy. Comprehensive physiology coverage clarifies the integration between structure and function, eliminating your need for multiple books on the anatomy and physiology of the visual system. An emphasis on clinical application helps you better understand the processes that occur in disease and dysfunction. Genetic information keeps you current with the latest developments in visual anatomy and physiology.